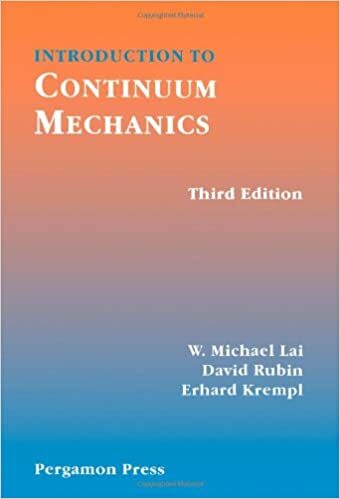 Continuum mechanics studies the response of materials to different loading conditions. The concept of tensors is introduced through the idea of linear transformation in a self-contained chapter, and the interrelation of direct notation, indicial notation and matrix operations is clearly presented. A wide range of idealized materials are considered through simple static and dynamic problems, and the book contains an abundance of illustrative examples and problems, many with solutions. Through the addition of more advanced material (solution of classical elasticity problems, constitutive equations for viscoelastic fluids, and finite deformation theory), this popular introduction to modern continuum mechanics has been fully revised to serve a dual purpose: for introductory courses in undergraduate engineering curricula, and for beginning graduate courses.